Plus, Alan Shepro is here Thursdays in the computer lab from 2-4 for drop-in visits. If it has a chip, he can help. Join Lin Sasman, ping pong coordinator, Fridays 1-5 pm. The new Rummikub group meets Fridays from 9-11:30 with leader Hedwig Baillie. – – Consider leaving a legacy to the Senior Center. Your bequest is a gift of hope. Please call Ruthann Dobek, director: 617. 730. 2756 and help us secure a bright future. 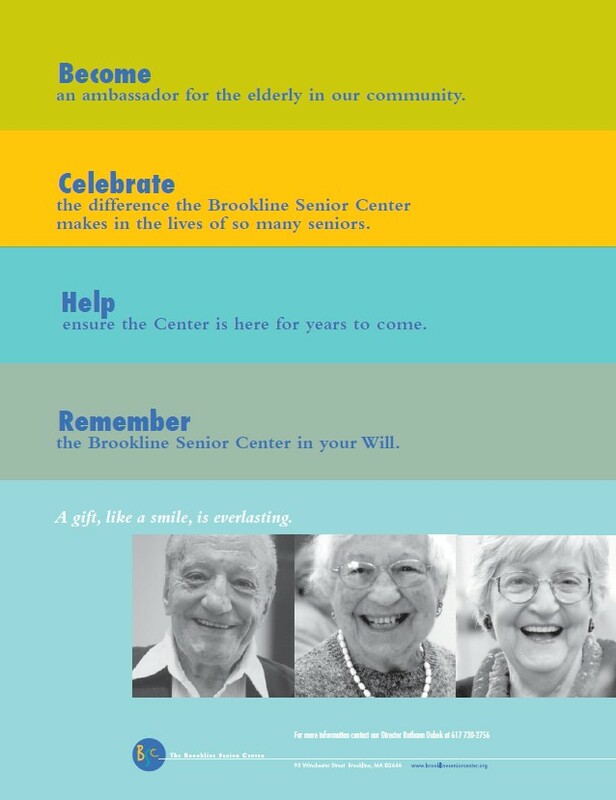 Brookline Multi-Service Senior Center Corp (EIN 04-2719972), a Massachusetts non-profit corporation.